"Give yourself permission to call yourself a writer because mind-set makes all the difference in the world." "Don't give up! Don't stop writing, do 'hang' with like minded people, & always seek more knowledge!" "Never ever ever ever quit!" "Don't obsess over your book sales or reviews." "Keep a regular writing schedule. There's no such thing as 'no time to write'." 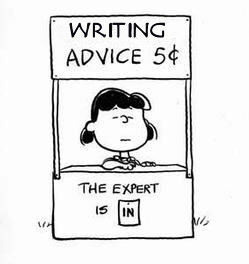 What advice do you for newbie writers? Leave a comment. Thank you so much, these are wonderful pieces of advice! I would add don't close yourself off from opportunities by focusing on just one particular route to publication. I totally agree with that one Terri.